The reaction of our players to three points against AS Trenčín. In the match of the 3rd round of the Fortuna League relegation group we started with consciousness that only three points could keep us in the fight for rescue. After just a few minutes on the pitch, Dangubic indicated that we were to accomplish this goal in our mind. Chudý was able to smashed a shot from Croatian midfielder to corner kick. The break of the first half occurred in the 16th minute Boukari, a fast-paced runner, fled our defence, but he did not overcome Tabord in a clear chance. The Ghanaian football player did not make another chance shortly and so punishment came. Long pass from Klapan Chudý did not catch and Ramirez had no problem sending the ball to the abandoned soccer goal. "Every time I score, im thanking God. I´m happy, we were getting ready for this game and we wanted three points. I´m happy for the whole cabin, we deserved it. But I´m already focusing on the next game," admitted Venezuelan striker Erik Ramirez. 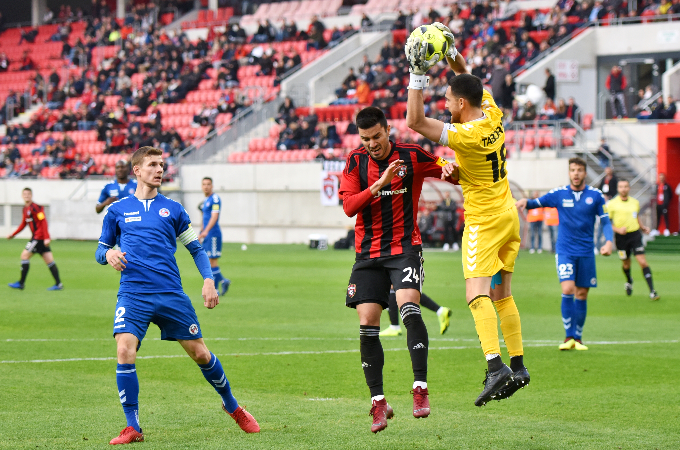 In the 36th minute, we were already leading by double goal difference, and Kay comfortably changed the ordered penalty kick with the clear hand of Mašovič. A native of Cape Verde led our team in this game as a captain. "It was a good match from our side. We played very well until 3:0, practically without mistakes. In addition to the three goals, we made another three-four clear chances. 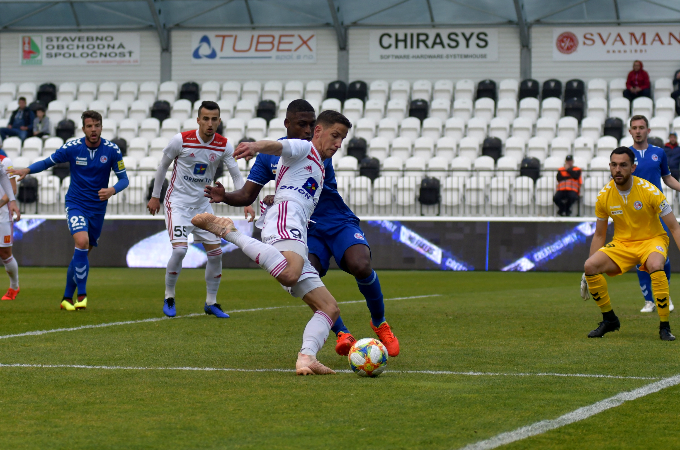 We showed our strength and unity, we got three points, it´s over, now we focusing on the next game,”explained Kay, who scored the second league goal in our jersey. In the second half after the combination action, Filip Dangubič added our third goal in the match. With an accurate shot in the upper left corner of the gate he didn´t give Chudý the slightest chance. "This victory is very important to us. I truly believe it can change everything and get us on the winning wave. We´ve been working very hard for that moment. 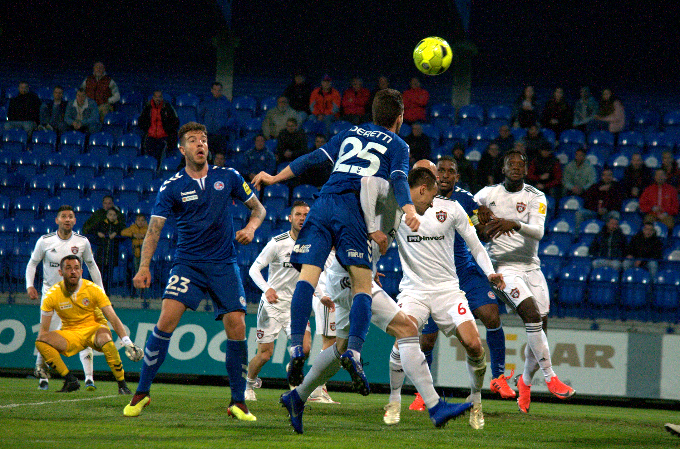 We are getting better and better from match to match," explained a 23-year-old Croatian football player who scored a second league goal in our colors after coming from Trnava. Despire the three goal lead, the match was given a new charge in the 71st minute when Sleegers scored to 1:3. From that moment on, they took home initiative and were a better team. They worked out a number of opportunities, fortunately only Čatakovič scored. Federico Taborda also has a share in our winnings. "We´re happy to finally win, but we know we´re still last at the table. There is still a lot of work to be done. Today we played very concentratedly. 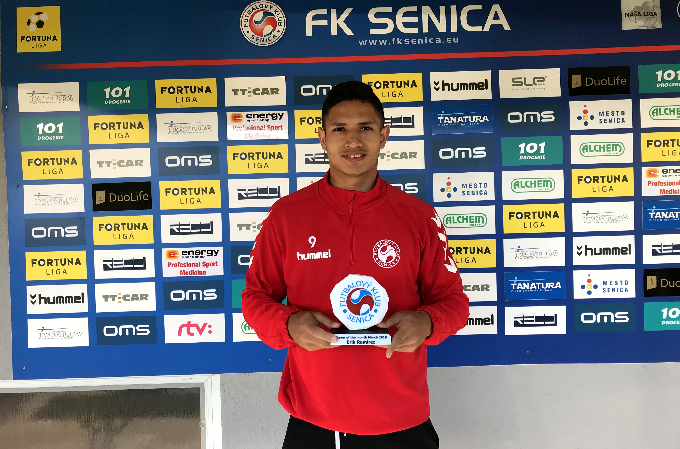 Only another victory will give us more peace and quiet," concluded the Argentinian goalkeeper of FK Senica.